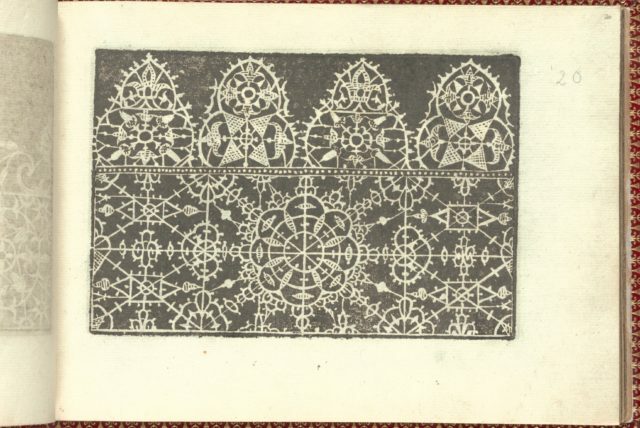 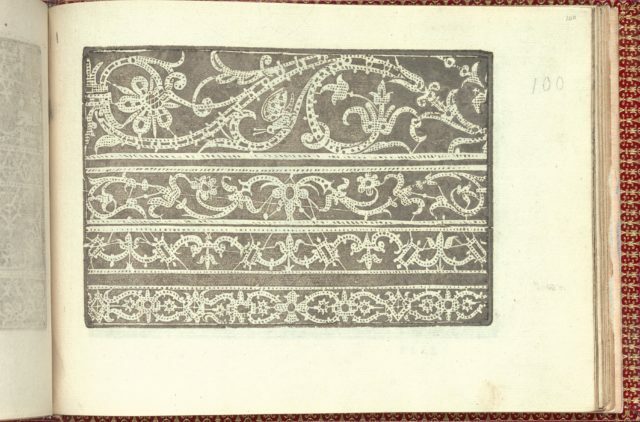 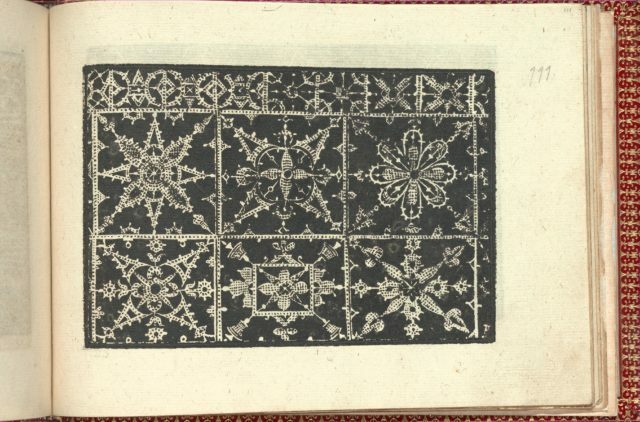 Published by Cesare Vecellio, Italian, Pieve di Cadore 1521-1601 Venice, Venice.From top to bottom, and left to right:Design composed of 2 horizontal registers. 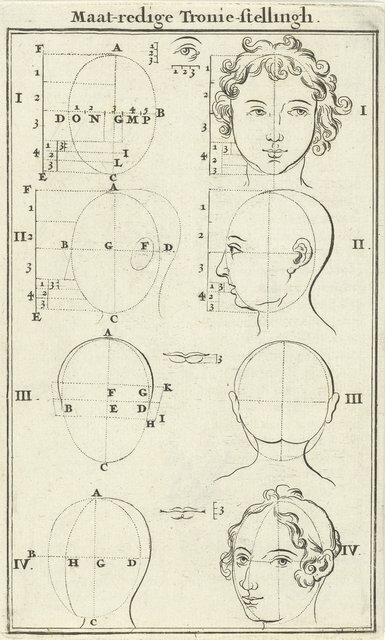 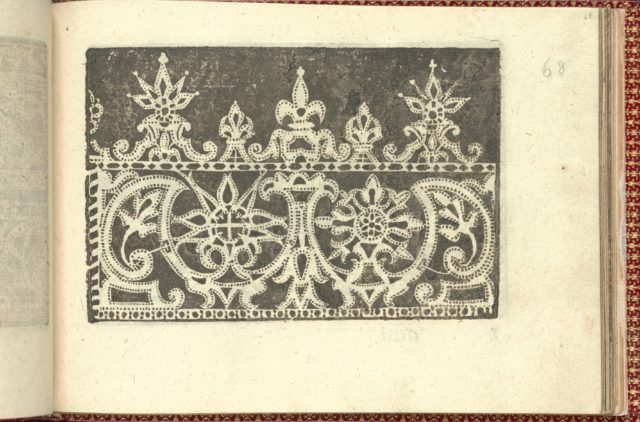 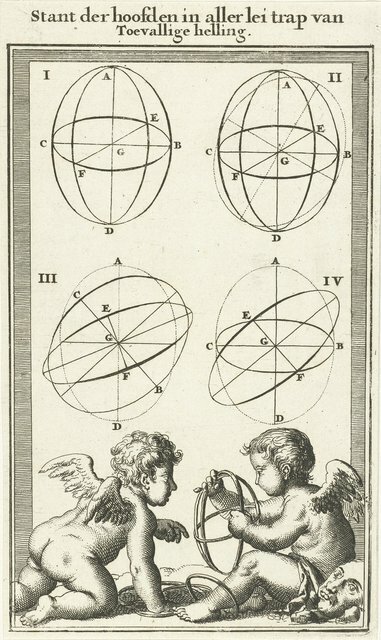 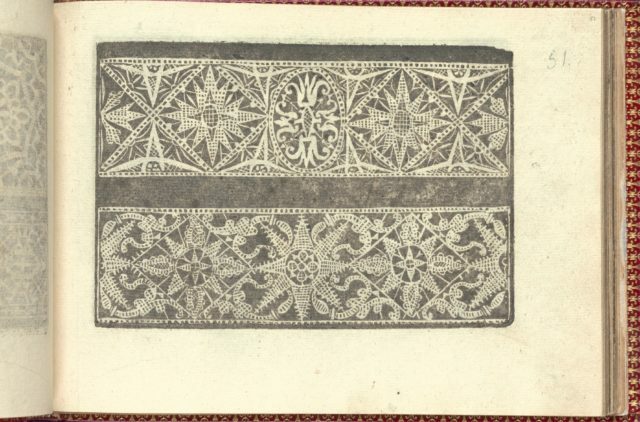 Top register is decorated with a central rectangle containing the upper portion of a flower, which emanates from an element outside of the rectangle (top center); the entire rectangle is surrounded by a curving stem of multiple types of leaves. 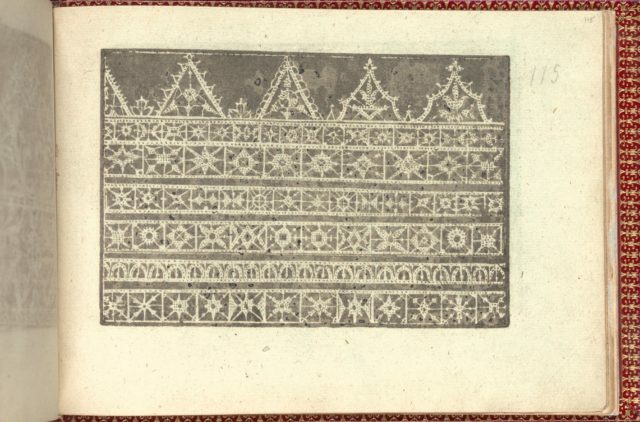 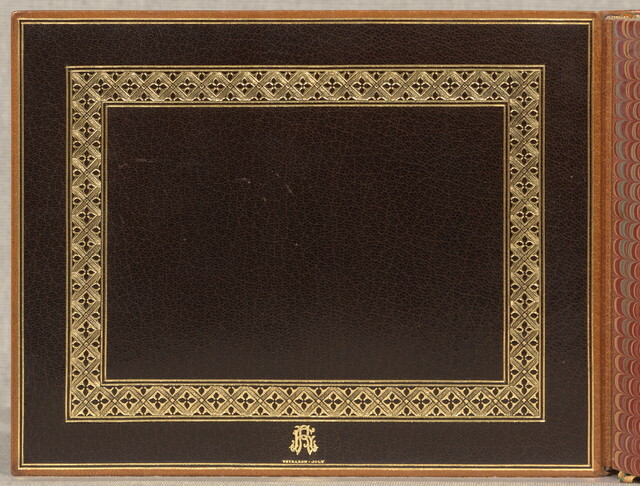 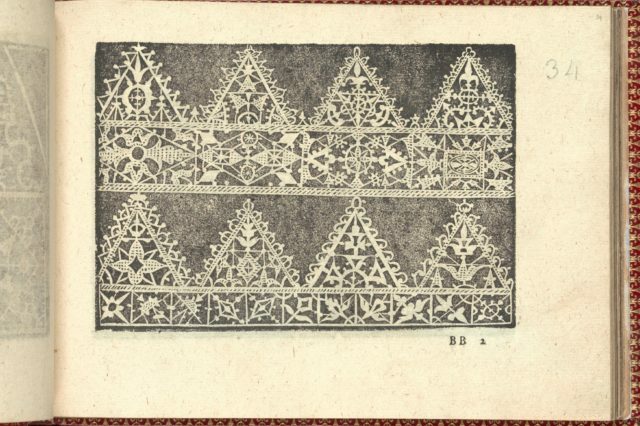 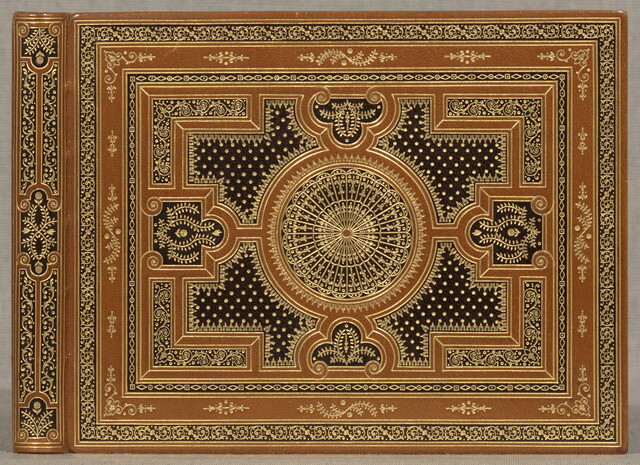 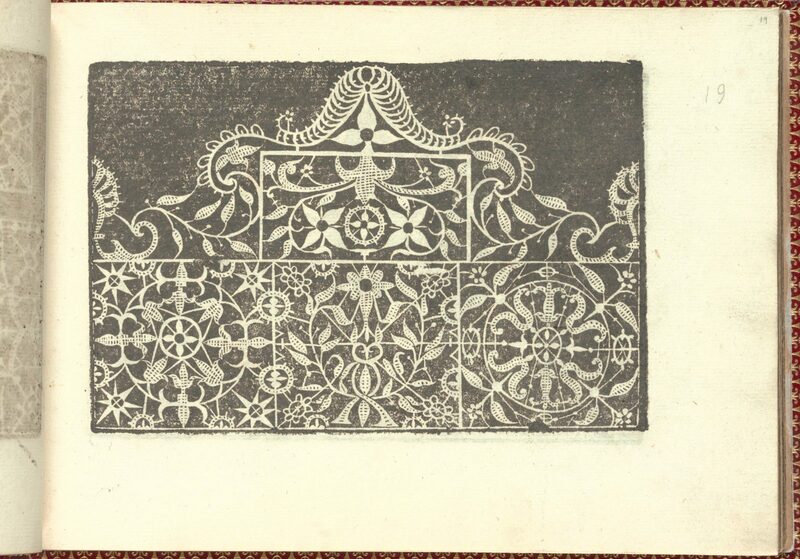 Bottom register is decorated with 3 squares, each is ornamented with a different floral motif.